We have teamed up with Indesit to offer one lucky reader the chance to win two appliances from the Indesit Aria built-in cooking collection worth £549; designed to help you enjoy the time spent in the kitchen with your family and to make life easier. The appliance prize bundle consists of an induction hob and an angled cooker hood, both finished in striking black glass, from the Indesit Aria built-in cooking collection. Perfect for a growing family, the Indesit Aria induction hob is not only stylish but it’s safe too, thanks to the child lock feature and residual heat indicators, reminding you which cooking zones are still hot. The hob has nine power levels and also benefits from a bridge zone, which allows you to combine two cooking areas to create one large cooking space; ideal when cooking a hearty family casserole. What’s more, induction cooking is super quick and efficient, speeding up the cooking process with today’s hectic lifestyles. 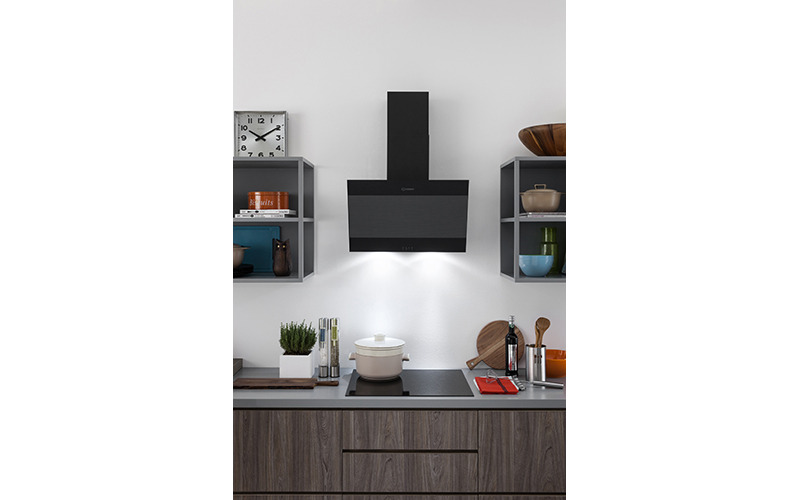 To complete the look of your kitchen, the Indesit Aria angled glass cooker hood creates a beautiful focal point in the room. It features simple button controls and three speed settings, which can effectively remove cooking smells and moisture in the kitchen. The hood also has LED lighting, which improves visibility when cooking, and uses 90 per cent less energy than halogen lighting, offering savings on energy bills too. Enter now to update your kitchen with two brand new easy-to-use appliances from the Indesit Aria built-in cooking collection worth £549.